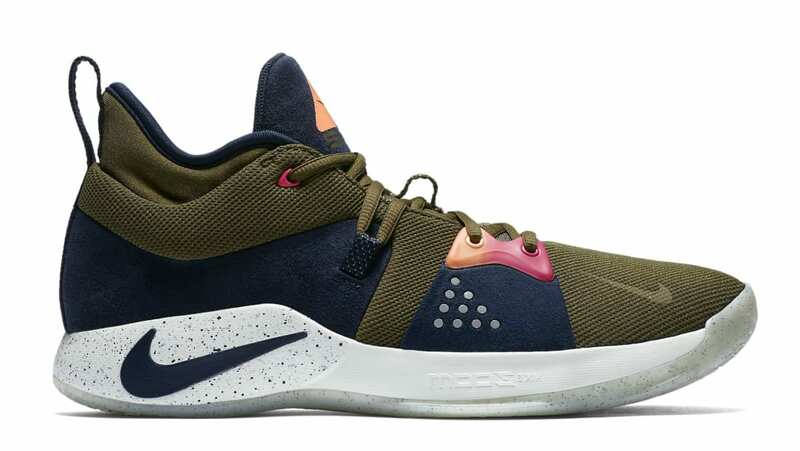 Inspired by Nike's ACG line, the PG2 is highlighted by the vibrant colors of magenta and orange on a olive-based upper. Additional ACG-inspired detailing is seen on the tongue and mid-panels. Release date is June 1, 2018 at a retail price of $110.